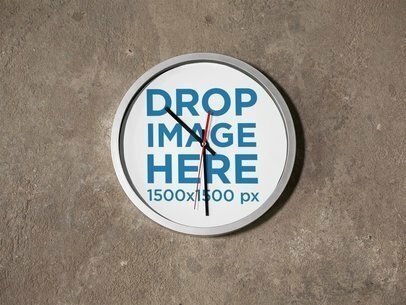 Check out this mockup of a round clock on a solid color surface, it's a great choice if you are looking to promote a creative design in a simple and beautiful way. Change the color of the wall with the menu on the right side of the screen, then drag-and-drop a jpeg or png image file on the interface, it'll be merged immediately in just seconds. 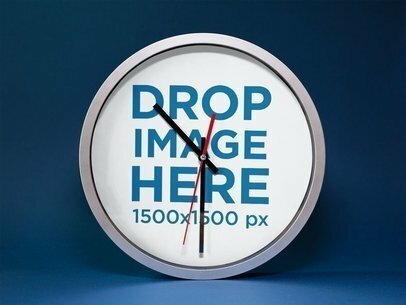 Try another Clock Mockup here! Showcase your latest design with this mockup of a round clock on a wooden wall, it's great! All you have to do is drag-and-drop a jpeg or png image file of yours over the interface. Awesome, isn't it? Start using Placeit now and make your revenue grow! Market your designs the right way. 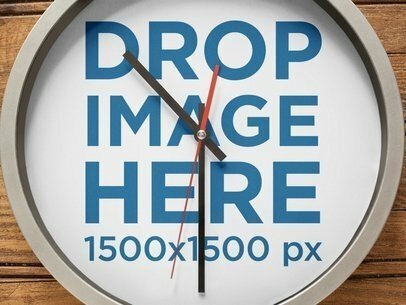 Try another Clock Mockup here! 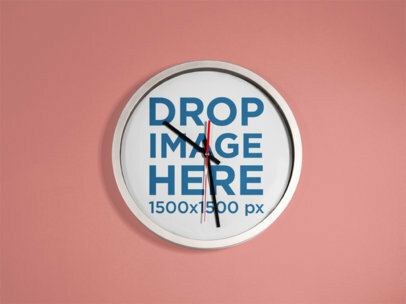 Take a look at this mockup of a round clock standing on a blue surface, isn't it a gorgeous visual asset? A simple and beautiful image like this one will make your revenue grow, remember that less is more. You just have to drag-and-drop a jpeg or png image file on the interface, we will merge it for you in just seconds! Use Placeit and start selling more with your designs. 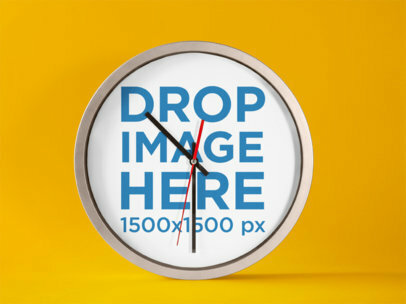 Try another Clock Mockup here! Check out this mockup of a round clock on a concrete wall from Placeit, it's great, right? Start using it by dragging and dropping your image file on the interface, it will be processed automatically. That's right, you will be able to see the finished image in just seconds. Amazing, right? Start using this useful marketing tool to promote your designs in a more creative and beautiful way. Try another Print Mockup here!